We’ve all been there. The first day back at college, and you’re rearing to go, brimming to learn, learn, learn and you’ve got your highlighters at the go and your different coloured pens- and then the lecture begins. And the tutor drones on and on. And that’s it. In thirty seconds flat, your attention is gone. Below are some tips for conducting an interesting, interactive and innovating business meeting for your clients. Probably goes without saying, but organisation is KEY to ensuring your meeting runs smoothly and efficiently. 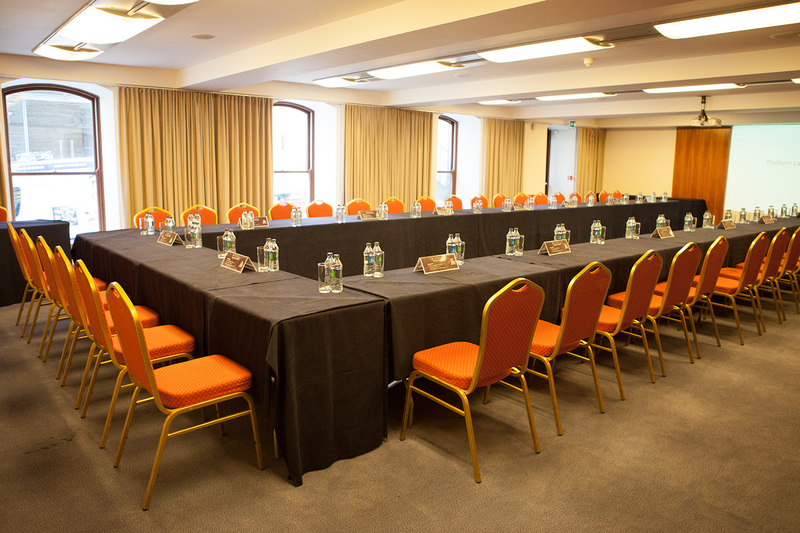 Put in the effort into planning your business meeting in plenty of time- have you found an adequate conference venue? Have you factored into budget the cost of hiring a meeting room? When all the major decisions like this have been made, it’s time to get down to the nitty grittys. What is the main purpose of this meeting? Ensure that you have a focused, strategic topic to discuss and try not to veer off plan, as this causes frustration and confusion to the attendees. In order to actively get the attendees involved, why not send them out a questionnaire a couple of days before with their ideas and thoughts on the chosen subject to discuss at the meeting. …Is their stomach. Hands down. Check the catering facilities in your chosen conference venue, and enquire as to whether they provide services for comfort breaks. If your meeting is long and intense, your client’s attention span is inevitably going to drop. Perhaps organise a tea/coffee station in the room, with some light nibbles like biscuits or pastries for your guests. If you have it in your budget, you could organise something a bit more filling such as sandwiches or even a lunch buffet- as they say nowadays, treat yourselves! Make sure to find a venue that provides some sort of catering services for your guests, whether you provide it for them, or whether there are café facilities for them to purchase food and beverages themselves. Well… the attendees will… hopefully. Make your meeting fun, interesting and colourful. Use references that relate to things that are occurring in the media at the moment. Bring quirky, fun facts to the table and your clients will be instantly more engaged. If you have a projector, throw up some relatable but interesting videos from YouTube. The more vibrant and unique the layout of your meeting is the more responsive and enthusiastic your guests are going to be. As simple as it sounds, absolutely ensure that whenever you go to a business meeting, get chatting to as many people as possible. Make sure to get the contact details of these people, as you never know when a new business partnership could build. Likewise, ensure that you always carry a few extra business cards on you with your contact details, and don’t be afraid to hand them out. Organise to meet up for coffee to discuss plans in further details, and sure look, if all else fails down the line, at least you’ve made a new mate!